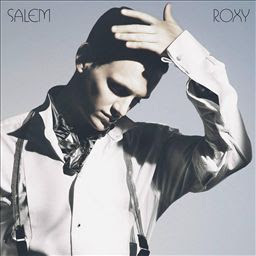 Yes, "Roxy" is the next single to be released from "Astronaut". I've been doing some detective work on the internet tonight and it already looks as if the single format (radio edit) is available for download in Finland and Denmark, where I also managed to find the single cover (pictured above). According to Folkradio the video for the song was filmed in Venice Beach during Salem's recent trip to the USA, and features musclemen and models, in keeping with the '80s spirit and retro character of the song'. Musclemen? Models? Never mind them, I just hope we see a lot of Salem in the video too!!! If you have any more information regarding the release date for the single, or when we will be able to see the video....please email me or leave your comments here.